I started thinking about the different ways women react to feeling bored after I overheard a conversation on the train. Some women do something constructive, perhaps community spirited. There are those who would start a hobby or go for a walk. Others handle boredom differently and would indulge in some retail therapy or look in the fridge for something to eat. Some might do something illegal. If you ever get bored, how do you respond? A young woman was telling a friend she had recently taken a number of stray shopping trolleys back to the supermarket near her home. She went on to say there isn't much to do where she lives when you are bored so she had used her spare time to tidy up the streets. I was impressed with this positive response to being bored. Volunteering is a great way to find something to do if you have free time on your hands. Volunteering has many positive outcomes. 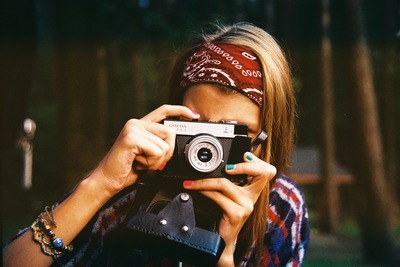 There are countless hobbies and some can be done in a group and others are usually done alone. Some can be expensive and others are low cost. Whatever your ability and interests there is a hobby that will suit you and help relieve boredom. We have all heard of the benefits of going for a walk, including providing a boost to our endorphins. The exercise is beneficial and you get to see more than you can when concentrating on driving. Getting outside in the fresh air and sunshine is likely to relieve boredom. Other forms of exercise will help too as long as it is something you enjoy. Going to the shops means you see different things and may run into someone you know. Shop assistants are likely to talk to you. If you need some items and head off to the shops with a list and a set amount of money there shouldn't be a problem. It can be interesting to spend time browsing in an op shop with a spending limit in mind. You come home with a few carefully chosen items and the money spent helps those in need. However, shopping frequently to deal with boredom, depression or another problem can have negative outcomes. Out of control spending or compulsive shopping can wreck not only the budget but relationships as well. Trying out a new recipe can break the boredom of always having the same meals. Cooking something different or coming up with your own recipe is creative. However, there is the temptation to cook something delicious and then eat more than a small portion. Okay, guilty. Others, when bored will respond by grabbing a large packet of chips or a block of chocolate. They may consume these while watching television or going online. It is all too easy to turn to food if feeling bored. Some people use boredom as an excuse for becoming involved in graffiti, stealing or destruction of property. The outcomes of these activities are negative for everybody. Some women are so busy all the time they wish they had spare time they didn't know how to fill. Others may be busy but they are bored with the repetitive nature of what they have to do or they feel no one appreciates their efforts. 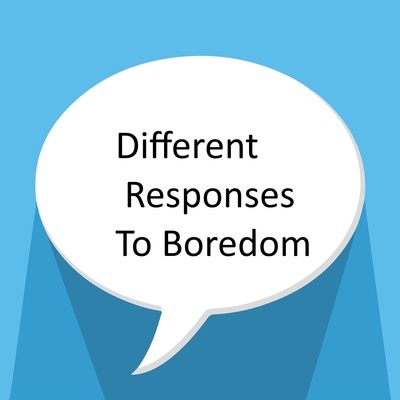 Women respond to boredom in different ways, some positive and others not so. Everyone feels boredom from time to time and that's okay. However, if it is a major problem you may need the help of a medical professional to diagnose and deal with the underlying cause.